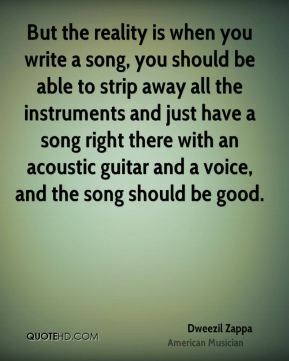 But the reality is when you write a song, you should be able to strip away all the instruments and just have a song right there with an acoustic guitar and a voice, and the song should be good. 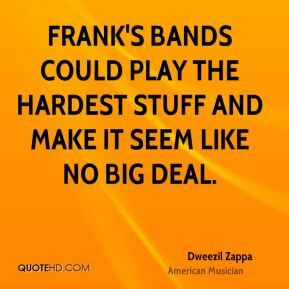 Frank's bands could play the hardest stuff and make it seem like no big deal. 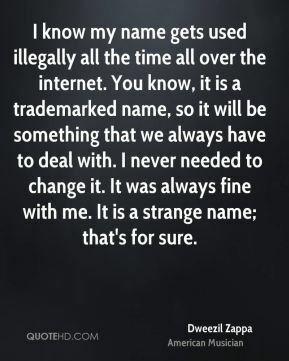 I know my name gets used illegally all the time all over the internet. You know, it is a trademarked name, so it will be something that we always have to deal with. I never needed to change it. It was always fine with me. It is a strange name; that's for sure. I mean, no offense, but I don't really see why, like guitar players from Creed, or something like that, are on the cover of guitar magazines. 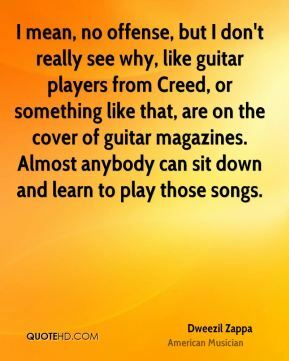 Almost anybody can sit down and learn to play those songs. 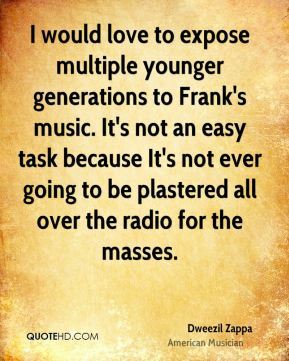 I would love to expose multiple younger generations to Frank's music. It's not an easy task because It's not ever going to be plastered all over the radio for the masses. Music can be so disturbing and frustrating. I mean the business side of it. 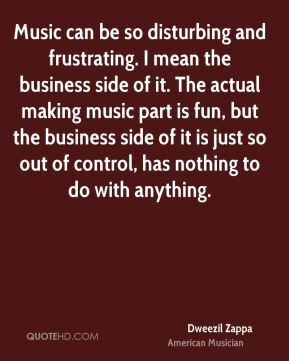 The actual making music part is fun, but the business side of it is just so out of control, has nothing to do with anything. 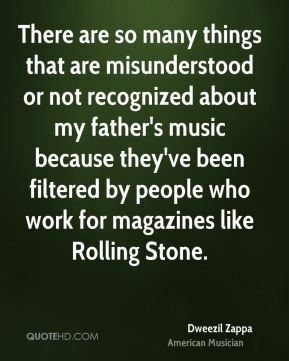 There are so many things that are misunderstood or not recognized about my father's music because they've been filtered by people who work for magazines like Rolling Stone. 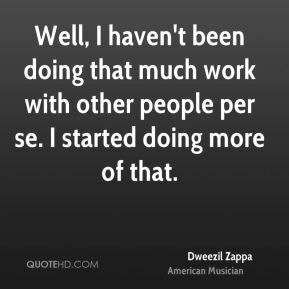 Well, I haven't been doing that much work with other people per se. I started doing more of that. 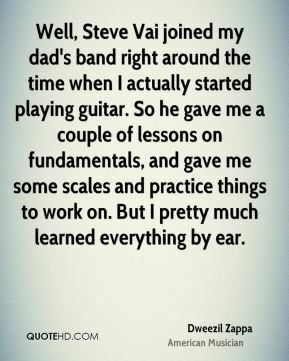 Well, Steve Vai joined my dad's band right around the time when I actually started playing guitar. So he gave me a couple of lessons on fundamentals, and gave me some scales and practice things to work on. But I pretty much learned everything by ear. 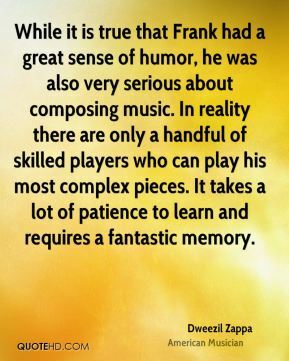 While it is true that Frank had a great sense of humor, he was also very serious about composing music. 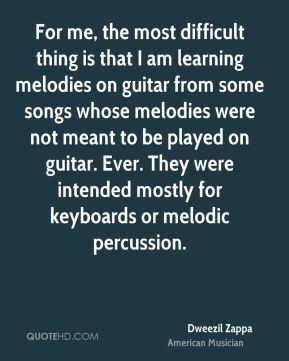 In reality there are only a handful of skilled players who can play his most complex pieces. It takes a lot of patience to learn and requires a fantastic memory. 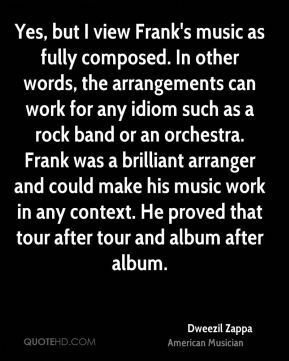 Yes, but I view Frank's music as fully composed. In other words, the arrangements can work for any idiom such as a rock band or an orchestra. Frank was a brilliant arranger and could make his music work in any context. He proved that tour after tour and album after album.